Manila, Philippines – The Kuwaiti social media star who was slammed by netizens around the world over her racist comments about Overseas Filipino Workers (OFW) has remained unapologetic. Despite the backlash she received on the internet, Sondo al-Qattan, known for her make-up tutorials, told Agence France-Presse by phone that the outcry was “unjustified” and did not require an apology. Al-Qattan faces criticism because of a video translated by TRT World uploaded on her Instagram, where she attacked the new law that grants Filipino workers a day off per week and the right to keep their passports with them. “All I said was that the employer was entitled to keep the servant’s passport, and that many Kuwaitis and Gulf nationals agree with me,” the Kuwaiti social media star said. “I have the right as a kafil (sponsor) to keep my employee’s passport, and I am responsible for paying a deposit of up to 1,500 dinars (around $4,900),” she said. “The servant lives in the house just like the owners, he eats the same food, sleeps, rests and goes out shopping… this is a natural right. He’s not like a waiter who works fixed hours, so we give him a weekly leave,” she added. On her recent Instagram post, al-Qattan explained that she never mistreated an employee and she treats them an equal human being. 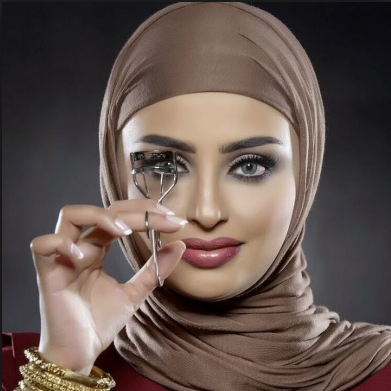 Many Instagram, Twitter and even Facebook users called on make-up brands that work with al-Qattan to severe ties with her and drop her instead. The Philippine Overseas Employment Administration (POEA), on the other hand, said that employers who refuse to comply with the bilateral agreement signed between the Philippines and Kuwait should be blacklisted from hiring Filipino household service workers (HSWs). Earlier, Blas Ople Policy Center head Susan Ople also asked Olalia to ban al-Qattan from hiring HSWs after her comments on the implementation of new employment rules. In response, Olalia vowed to include al-Qattan in the POEA’s blacklisted employers. He also further assured Ople that POEA is closely monitoring the implementation of the guidelines in deployment of workers to the oil-rich gulf state. As for her part, Ople said that the Kuwaiti social media influencer personifies the ugly face of modern slavery and should he included in the POEA’s list of undesirable employers abroad. On May 11, Kuwait and Manila signed an agreement to improve the situation of Filipino workers following a diplomatic crisis between the two countries. It was around February of 2018 that Philippine President Rodrigo Duterte imposed a temporary ban on workers travelling for Kuwait after what happened to Filipina Joanna Demafelis, who was kiIled and her body was found in a freezer one year later. Aside from this, there were also other reports of abuse to OFWs.